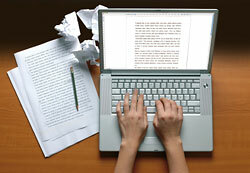 Home › FAQ › Can You Use the Same College Essay for Multiple College Applications? Writing a good college admissions essay can be a time-consuming process, but some students are not sure whether or not they can use the same college essay for multiple college applications. As you are reviewing college applications and you are creating a checklist of all of the things that must be in your electronic submission, it is easy to get overwhelmed. Not only do you need your transcripts, your entrance exam scores, and personal reference letters from your high school teachers, you also need to complete the essay or project requirement that is included in the application. Considering that the average student will apply to at least a handful of schools, writing between five and 25 essays to impress admissions councils all while you are trying to balance senior life can be difficult. You still have homework, class, and other projects to submit and you have to somehow manage to apply for the schools of your choice somewhere during your free time. Here is what you need to know about college admission essay etiquette. Not all colleges have the same essay requirements. Each year, colleges will change the essay question or prompt that applicants must respond to to keep everything fresh. While some of the essay questions are very general, there are some that tend to be specific just so that the council knows that the submission you have sent in was written just for that application. You will need to jot down notes on the word requirements, the topic requirement, and other facts that are important and outlined on the application. You can create a chart to find out which essay questions and prompts overlap and which length criteria is similar. If there are requirements that match, you can use the same essay twice as long as you do not have the name of the college in the essay, according to College Countdown. Since applying to college can be such a stringent and stressful process, the Common Application is becoming much more popular. By creating an account and using this standardized application, student members can apply for admission to more than 500 member schools by adding them to their list and then forwarding the information by the admissions deadline. The single application will allow students to choose one of the many essay prompts that speaks to them. These will usually be centered around personal heroes, dilemmas in life, social causes or achievements. While the essay attached to the Common Application will go to all schools, there may also be supplemental requirements that state that students will need to write a school-specific piece. When you see there is a supplemental requirement, you cannot use a single essay to apply to all of the member schools. If you want to recycle your essays, be sure to take the proper steps to ensure the paper matches up with the prompt. You should skim through the paper and add the college name somewhere within it and rephrase some of the areas that are most memorable. You do not have to rewrite it completely, but add words and check the prompts to be safe. It is not about how much time you spend applying to college, it is about how wisely you use your time. As a senior, your time is very valuable. You should focus your time and effort on a great essay and a complete application, but do not forget about finals and grades. If at all possible, use the same college essay for multiple college applications and save time.